Please come and join with your NAMI South Bay friends to view “Infinitely Polar Bear” movie. Infinitely Polar Bear is based on a true story and is a funny and heartbreaking portrait of the many unexpected ways in which parents and children save each other. 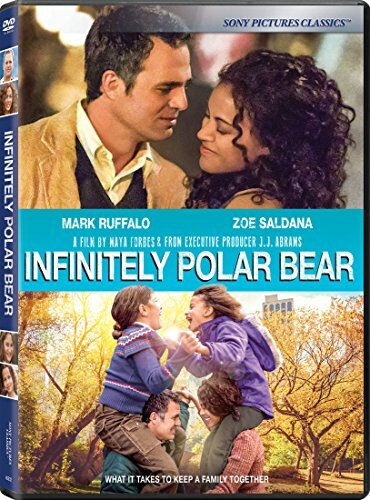 After Cam Stuart (Oscar Nominee, Mark Ruffalo) has a manic breakdown that lands him in a mental hospital, his wife Maggie (Zoe Saldana) and their two young daughters are forced to move into a cramped apartment in Cambridge. Broke, stressed and overwhelmed, Maggie leaves for New York to complete her MBA and build a better life for their daughters. With his wife away in New York, Cam quickly realizes that he is in over his head. The Caring and Sharing Support Groups will meet at 6 PM and the regular meeting (now a movie night) will meet at the First Lutheran Church, 2900 Carson Street in Torrance.